Free preventive care in all GEHA in-network health service locations. After knowing the benefits you can get by choosing the GEHA connection Dental Federal dental plan you will likely want to know the way or steps to enroll in the insurance plan. The good news is, it is easy and also not require you to pay membership fees. The very first step to enroll in the GEHA Connection Dental Plan is to contact BENEFEDS. 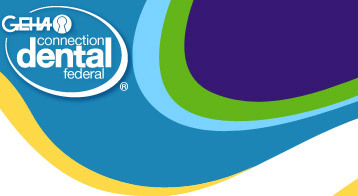 The BENEFEDS itself is a enrollment vendor for all Federal Employees Dental and Vision Insurance Program (FEDVIP). New enrollment for GEHA Connection Dental opens for all federal employees during the window of the annual Open Season enrollment period. The window opportunity to enroll will also open if the employees are going through a qualified life event, either way any federal employee that is eligible for GEHA connection can enroll in the dental plan including those who don’t have a GEHA health plan. If you wish to change your enrollment, for example if you want to change personal information about your dental plan enrollment including address, phone numbers and so on you can do that by visiting the BENEFEDS. To contact the BENEFEDS, whether to enroll in the GEHA Dental Connection 2013 or to change enrollment status, you can call (877) 888-3337 toll-free. This entry was posted by mimin on December 22, 2012 at 5:39 am under Dental. Tagged geha connection dental federal 2012, GEHA Connection Dental Federal 2013, geha connection dental federal 2014, geha connection dental federal plan, geha connection dental federal plan brochure, geha dental federal insurance, geha dental providers directory. Both comments and pings are currently closed.